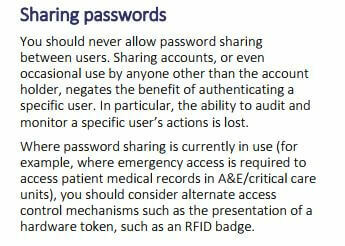 Sharing passwords can compromise your system! 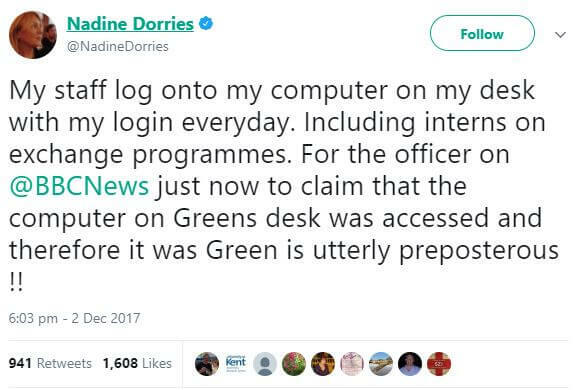 This MP certainly drew a lot of attention this week with her tweet regarding the computer and sharing her password with so many other users, including exchange interns and as a result there has, quite rightly, been a deluge of responses from people about how inexcusable this is. Its very concerning something like this has come to light. There is a huge drive by Government to ensure businesses are becoming more cyber secure. Coupled with the incoming GDPR regulation to protect our data even further. To then find out that an MP holds such a casual approach to security by allowing users access to their own devices and emails is shocking. 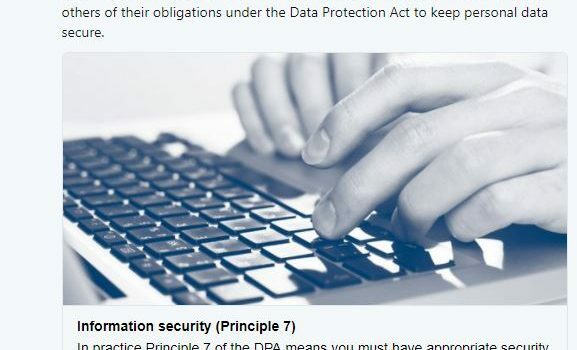 This is Clearly this being a clear breach of their I.T policy, right on page 6 on the link here. Each user should have their own unique login. Delegate access can then be setup to any mailboxes they require in order to perform their role. 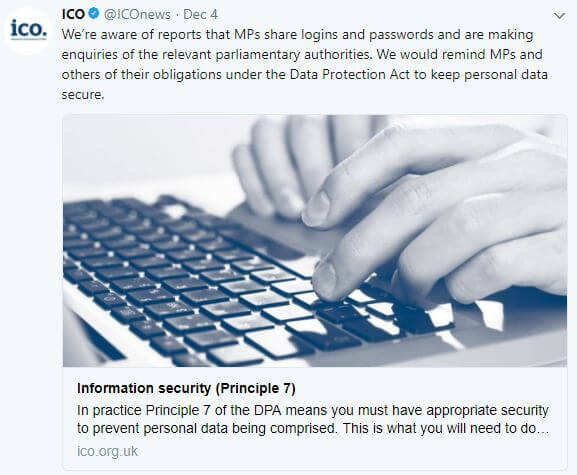 At least the ICO have got involved and will no doubt investigate this in depth, it is certainly possible this is repeated across many MPs offices and time will tell what their investigation reveals, you can read more on their policy here. Are you confident your own network is secure? What are your users approach to password security – do they share them with colleagues or leave on post it notes? If so its time to urgently review your I.T policy and ensure proper measures are in place. This becomes even more crucial with the new GDPR looming quickly. Your users are the biggest weakness in systems, all the complex passwords & secure systems fails if people just share them with colleagues!